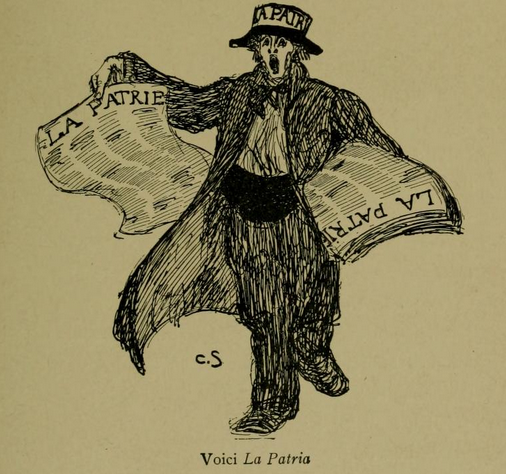 The Paris Winter came out in US on 18th November and as I was wishing it well, it struck me how many of my guides to Belle Époque Paris were, in fact, American. The practice of women artists coming to Paris to study was well established by the time my protagonist, Maud, makes her way over from England to study at the Académie Lafond (a fictional version of the Académie Julian). Abigail May Alcott Nieriker - younger sister of Louisa May Alcott - wrote a useful, if slightly bossy, guide to studying art abroad and how to do it cheaply in 1879. She includes notes on where to buy your colours and how to deal with rude Parisians. You can find it here. I know nothing about Flora Adelaide Mclane Woodson other than the fact she wrote the breathless and delightful ‘Magnetic Paris’ under the name of Adelaide Mack. I think supper with her would be exhausting, but as a guide to what catches the eye in Paris, she is a genius. Her sentences run on in a sort of frantic dash as she describes the street life and street cries, the characters the food, the pets, the telephones, the markets and the way the fashionable Parisienne wears her make up. When I went to France to walk the streets and wonder what MAud saw and felt, I had the luck to meet up with another American in Paris (and we did get to eat together). David Downie and his wife, the photographer Alison Harris have lived in the city for years. I came across David’s excellent book on the city, Paris, Paris: Journey into the City of Light while I was doing my paper research, and when I found out he and Alison gave private tours of the city, I signed myself (and my husband) up. David demonstrated a writer’s eye in his choice of places to take us, and several scenes in the novel grew directly out of that day. So why are all these great guides to Paris by Americans? I have my theories. I discovered when writing about the 18th century that often the most useful texts about a particular place are written by strangers. Strangers notice the differences, the small, subtle bits and pieces that give a city its sense of place (Royale with cheese, anyone?). The people who actually live there don’t notice this stuff. They concentrate on the things that are important to them, which may make for great literature but aren’t as useful to me. This is why the slightly crazed Flora Adelaide Mclane Woodson was a lot more useful to me than Proust. And there are cartoons in ‘Magnetic Paris’. What about books by British people living in France? Well, personally I think we are too close to France to see it properly. France is like a sibling we love, but also find rather irritating so a lot of popular books on France by writers from the UK are called things like ‘A Thousand Years of Annoying the French’. 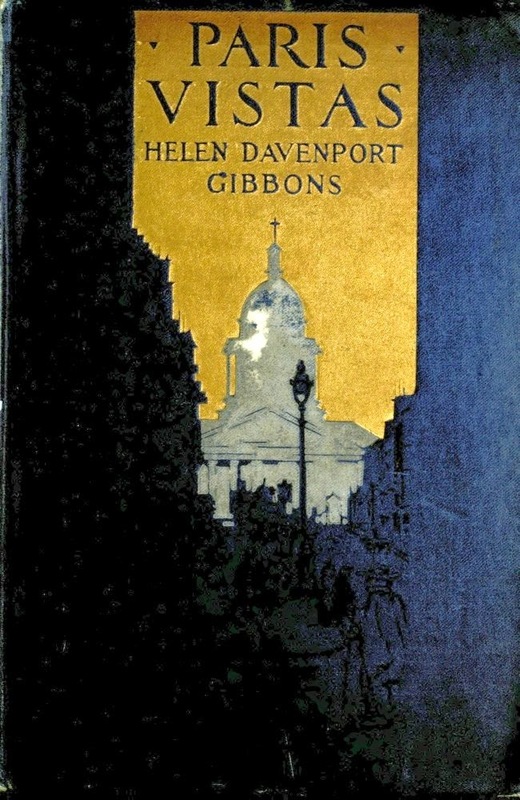 Davenport Gibbons and Woodson approach Paris with enthusiasm rather than mild snark, and that makes them much more useful. The Paris Winter, unusually for me, does have speaking parts for real people and one of those went to Gertrude Stein. Her book - 'The Autobiography of Alice B. Toklas' was an invaluable guide to the art world of the time, and her salons, such as the one Maud visits in the novel, were an essential part of the Parisian art scene. I am not a great fan of her writing in general - I rather feel as Arthur C. Fifield did and expresses in this very famous rejection letter - God, I hope I never receive a rejection like that - but The Autobiography was absolutely vital, and having a scene set at her home at 27 rue de Fleures gave me a chance to have Maud encounter art which confused and challenged her. So, with grateful thanks I raise my glass to The Paris Winter in America, and the Americans in Paris. The is an enchanted period in Paris history and so many writers have mined it. And readers always want to go back for more, including me! Huge success with the book, Imogen. I am sure it will do very well. "Strangers notice the differences, the small, subtle bits and pieces that give a city its sense of place"
Congratulations on the US publication, Imogen. It's an interesting observation about France/England behaving like siblings - I've sometimes wondered that about neighbouring nations, counties, towns. A little distance is a good thing perhaps. Thanks, folks! I shall keep an eye out for THe charmed Circle. It was a fascinating period and yes, I think a bit of distance can help at times, Kate. 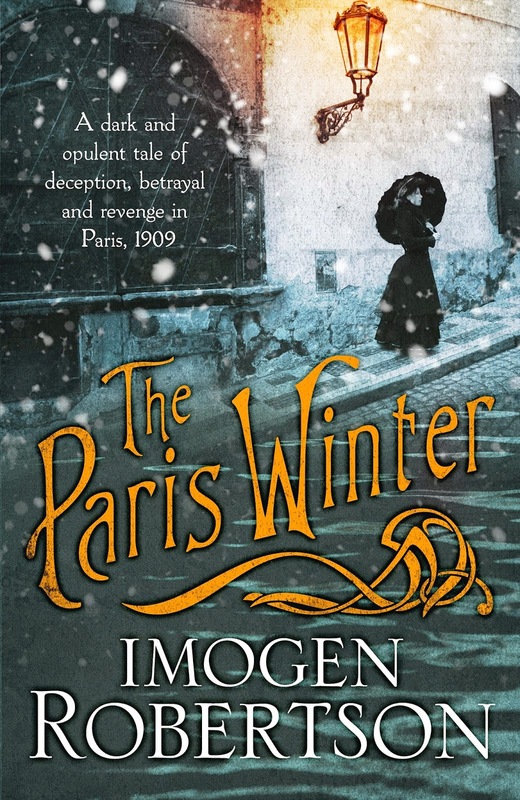 Just to say that after reading this I downloaded The Paris Winter, and am engrossed - it's wonderful! I'd be very surprised if The Charmed Circle is still in print or findable. Wish I could remember who wrote it - it must have had something for me to remember it all these years later. Found it! It was by Susan Ertz, published in 1957 by the Companion Book Club. There's one copy on Abe Books, but I'm not going to send for it because I'd probably think it was awful now! 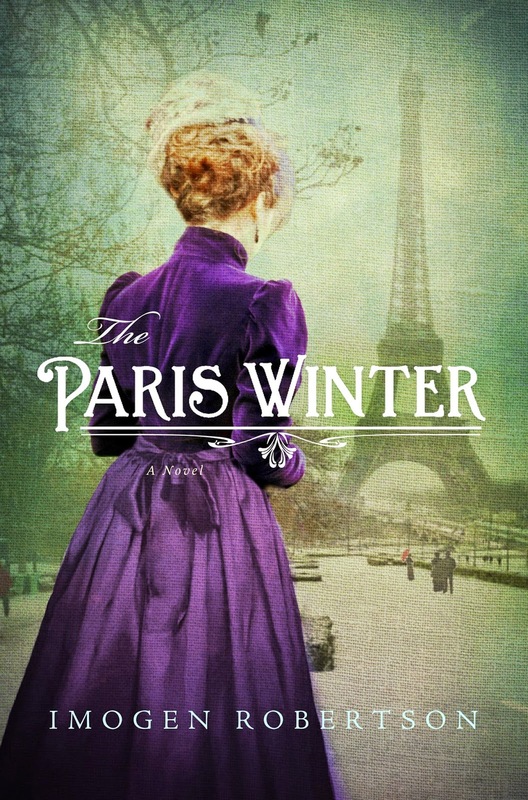 I loved 'The Paris Winter' !